Despite US student visa denial, 2 Somali women will still participate to the WPLP as program director Janice Jenner and professors Jayne Docherty and Gloria Rhodes decided to travel and reach the excluded women. The United States government denied entry to the six (two each from Kenya, Somalia and Somaliland). This was ironic, given that a federal agency, USAID, was paying for their training. The stated reason for exclusion was that the women might overstay their visas, says Jenner. That allegation “was more upsetting to them than that they were denied visas,” adds Jenner, who found all six women “completely committed to their countries.” The women, ages mid-20s to early 40s, included peacebuilding-organization workers, an educational journalist, and a trauma-healing counselor. Some had been war refugees as children – a history belying the ebullient smiles in photos showing them with their American instructors, all wearing Somali clothing. All participants in this program need a university degree before they can be admitted to WPLP, something not easy to obtain for many Somali women. Thus, says Jenner, these women needed to be very determined and passionate about getting an education despite often-difficult circumstances. Jenner, Rhodes and Docherty devoted two weeks in September and October  ¬– amid a busy semester on EMU’s Harrisonburg, Va., campus – to teach the women in Hargeisa, Somaliland’s capital. Commercial flights to Hargeisa from Nairobi had just been discontinued, limiting the EMU teachers to “lowest priority” seating on United Nations flights. Docherty explains that WPLP is designed to create a network of women peace leaders within a specific country or region, who can “relate to one another as ‘lost sisters from the same clan,’” while helping transform their region’s conflicts. The first stage of the women’s program – initially conducted for 12 other women at EMU’s Summer Peacebuilding Institute (SPI) in May and June – consisted of two six-day courses. In “Conflict Analysis,” taught by Rhodes, the women in Hargeisa acquired tools for understanding problems. “Strategic Peacebuilding,” taught by Docherty, helped them plan interventions. They’re now finishing activities and papers begun during course sessions. Those completing the 15 credit-hour program will receive graduate certificates. “It is a privilege to interact with and teach women who have been brought up during a time of civil war,” says Rhodes. “I’m learning a great deal about what gives these women motivation for peacebuilding and about how wise, strong and resilient they are.” Rhodes felt buoyed by the women’s hopefulness. 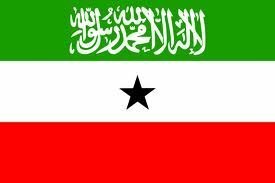 They had “hope for security and stability, hope for more women’s participation in decision making, and hope for a peaceful Somaliland and Somalia in the future.” Somaliland is a self-declared, but internationally unrecognized, state that broke off from northern Somalia to form its own parliamentary government in 1991. It enjoys more stability than war-torn Somalia, which has struggled to establish a functioning government (though Jenner says the WPLP women consider its new president, who has himself attended SPI, to be promising). Since earlier visits, Jenner has seen former refugees returning to Somaliland, and the building of shopping centers and high-rises, though extreme economic disparities remain. Jenner says the six were “such fun women,” yet deeply committed. Even within a patriarchal culture, “They can be spokespeople for the women who don’t have the ability to speak for themselves.” In Somali culture, she adds, “In theory, women have quite limited power. In practice, it’s like any society” – widely varied. Women, for example, often resolve family disputes. The 12 program participants on campus in mid-2012 came from Liberia, the South Pacific and Somalia. Before her death in a 2011 accident, former SPI student and teacher Dekha Ibrahim Abdi had advocated for a women’s program, while master’s degree alumna and Nobel laureate Leymah Gbowee served as a major inspiration. The program is expected to grow gradually, says Jenner, depending upon the ability of regional women’s networks, or cohorts, to build local organizational support and secure sources of funding.